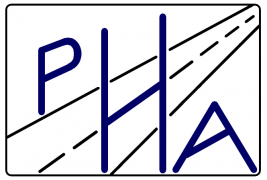 PHA Engineering Ltd (PHA) is a multi-discipline consulting firm that has served Government and Private Sector stakeholders on a variety of projects throughout Northwestern Ontario since 1997. We are based in the Northern Region with unique climatic, physical, and social conditions. We have expertise that provide us the ability execute solutions tailored to suit Northern Region’s demands. We are committed to providing dependable competitive engineering and planning services. We deliver quality solutions, tailored to our stakeholders needs. The services we provide range from conceptual to detailed design to construction administration and can be grouped within the following categories, but are not limited to. We are very specialized in highway designed Contract Management and have highly experienced Engineers, Technologist, and Technicians to back it up. We even developed a fully functional electronic diary for this purpose. Software, specifically designed for Contract Management. It has been successfully utilized for nearly all of our Projects for the Ontario, Ministry of Transportation (MTO), we have worked on since 2004. This has proved helpful with transmittal of records from the Consultant’s office to MTO and to keep everyone informed about the current Projects Status. The digital diary has proved accommodating to expedite the tasks for Progress Payments and internal quality checks. This has been a proven benefit to MTO to help lower cost from Administration. This firm was acquired by Keith Mayer in 2007, who was an employee himself since 1998. At our core we are always looking to strengthen our evolving values to better suit the constant need in the changing climate and landscape of challenges. With grand leadership, impeccable teamwork, and strive to strengthen stakeholders relations, this is all possible. You will receive service from a leader. We strive to be resourceful, open to change, and are interested in feedback to better ourselves. We are responsible, consistent, organized, can delegate and take initiative to meet all stakeholders needs. Our company is always evolving as the needs of stakeholders change and as new opportunities arise within the industry. You can rest assured that working with us, you will enjoy the latest services, technology and developments the industry has to offer. We make it our responsibility to know you and your needs. We work closely with you to ensure that the solutions we provide are tailored to meet your unique challenges. We are committed to your success. When you succeed, we succeed. Stakeholder relations is paramount. You are important to us and you can expect us to go the extra mile to serve you. Superior service is our hallmark. We are proud to serve you and work hard to meet your needs. We offer the highest quality of services. Since 1997, we have provided outstanding service to all stakeholders and have assisted them with achieving their goals. With over a century of combined experience and commitment to excellence, we have earned an exceptional reputation as one of the leading firms in within this area. Additionally, we have experience with airport runway design, photogrametry and more. Our goal is to provide you with courteous, expedient, professional service of the highest caliber. We are always available to answer any questions or concerns you may have about our services we may provide you. Community and Stakeholder Needs Comes First!